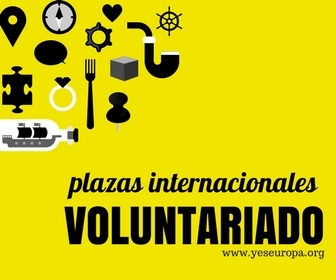 Ya puedes solicitar una plaza para unas pràcticas profesionales en la Comisiòn Europea! L@s becari@s trabajaran en diferentes deptos de la Comisiòn y tendràn la oportunidad de trabajar en un entorno multicultural, practicando idiomas extranjeros y fomentando su propia conciencia europea. Las areas de trabajo son varias, algunos ejemplos son el depto legal, el de politicas medioambientales, de Recursos Humanos, etc. Los becarios de la CE suelen atender y organizar los eventos de la Comision, organizar grupos de trabajo y forum, reealizar tareas administrativas y periodisticas, asi como tomar parte en proyectos. Los candidatos que hayan disfrutado en pasado de un periodo de practicas o trabajo en una institucion europea no podràn participar. Cada becario recibirà una remuneraciòn mensual de 1,000€ y la devoluciòn de los gastos de viaje. La Comisiòn contratarà tambien un seguro de accientes. Cada sesiòn la Comisiòn ofrece alrededor de 1.300 plazas a los becarios. Que puedes esperar de estas pràcticas? Que espera la Comisiòn de ti? A traineeship at the European Commission is much more than just a professional experience. Each batch of trainees organises a huge range of social activities, from football to wine-tasting and much in between – in true bureaucratic fashion, each with its own organising committee! There are usually 40-50 of such activities to choose from. The main social committee is the Stage Committee, which organises parties and social events in Brussels and Luxembourg. Among the most popular events are the Job Fair, to help you work out your next step, and the prestigious Euroball. More information is available on the Traineeship Rules page HERE and the Frequently Asked Questions page HERE. 1. REGISTER online HERE: Under My Account use the LOGIN button, this will take you to the European Commission Authentication Service (ECAS). Make sure that you identify yourself by selecting the External domain before you introduce your username and password. If you are a new user, click on the Not registered yet link, and fill in the Sign Up form. Once you click on the Submit button, you will receive an email. In the email, click on the link to create your password, and then on Proceed to go to the Application form. If you log in for a second or consecutive time, you simply write your existing username and password. 2. FILL IN & SUBMIT THE APPLICATION FORM: Log in and complete each section of the application form following the instructions provided on-screen. You do not have to fill in the entire form in a single session. You can save your entries and log in later to complete the form. You can also preview your application form in printer-friendly PDF version at any time. Important note: The European Commission does not require you to submit any paper documents at this stage. Send your questions to the European Commission using the online form HERE. For more information, please see the official website HERE.